This is a continuation of the critter saga. Questions regarding the how-to on live traps come up quite a bit. Live traps are the most humane option for removing unwanted animals from an environment. Before you go all Grizzly Adams on the wildlife, have a plan on what to do with the animal once it is caught. Most cities will help with the removal of a live trapped animal. There are some that don’t and you need to find out your city’s policy. Remember that city, state and federal laws might come into play regarding the release of wildlife on someone else’s property. Since every inch of Texas is owned by someone or some entity you need to be careful. “What size trap do I need?” is the next question. Traps come in different sizes for different critters. It is better to have a trap too large than too small. 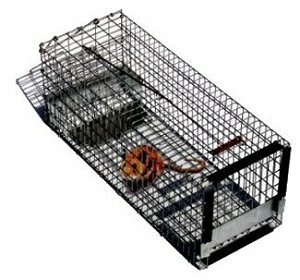 Wells Brothers carries Texas made Pied Piper brand live traps. The traps we stock are 6x6x16, 8x8x24, 10x10x24, 12x12x34, 14x14x36 and a 10x10x36 multi-catch. 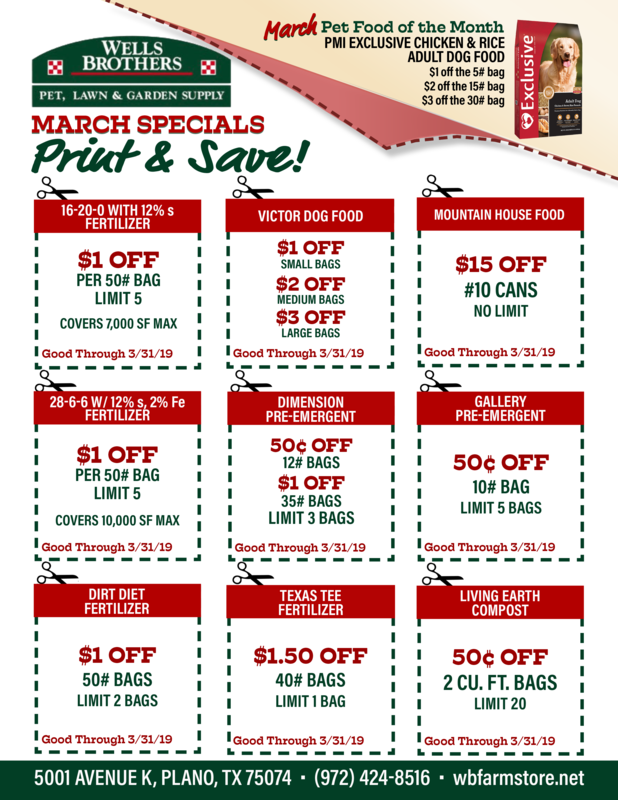 Prices range from $34.00 to $89.00 respectively. The question of “what bait to use” has been debated for centuries with only a couple clear answer that has been determined. Canned or dry pet food works very well as a trapping bait for raccoons, rats, opossums, skunks, feral cats, and dogs. Rabbits and squirrels are vegetarian so meat-based baits are out. Squirrels respond well to dried corn and nuts. Rabbits are the hardest (for me) to trap. I have heard folks using everything from apples to carrots with marginal results. The best bet is to bait them with what they are eating in your environment. So if they are eating your pansies, place the trap on top of the pansies. Commercial trapping baits are available for most critters. The hard to find ones are for rabbits and armadillos. “Where to place the trap” is next on the list. Placement needs to be close to the environment that they are disturbing. Place bait in or underneath the trap. Set the trap then cover the top and sides with any old pillowcase, towel or burlap. The critters need to see through (front to back) the trap but not side to side. Because armadillos rarely respond to bait, place the trap on the path they walk. Set the trap and place two pieces of lumber to make a guide (funnel) into the trap. They will walk right in. Traps should be checked daily. When an animal is caught call the city folks as soon as possible. Reset the trap until you have gone two days with no catches.